Welcome to the Succulent series! The first week of August is here which means Spring is around the corner! The air will soon start to warm up and we can celebrate warmer days, and that means more time in the garden. This week we look at the Haworthia. They belong to the genus Haworthia and the family Xanthorrhoeaceae. These succulents were named after Adrian Hardy Haworth. They are originally from Southern Africa and so naturally will do really well in our gardens. They also make very attractive and compact indoor plants, perfect for your desk or windowsill. The Limifolia is also known as the Fairy washboard. This rosette forming succulent can vary in colour from light to dark green, to brown-green. These plants make for great potted plants in shady areas, otherwise in pots outdoors in shady areas. 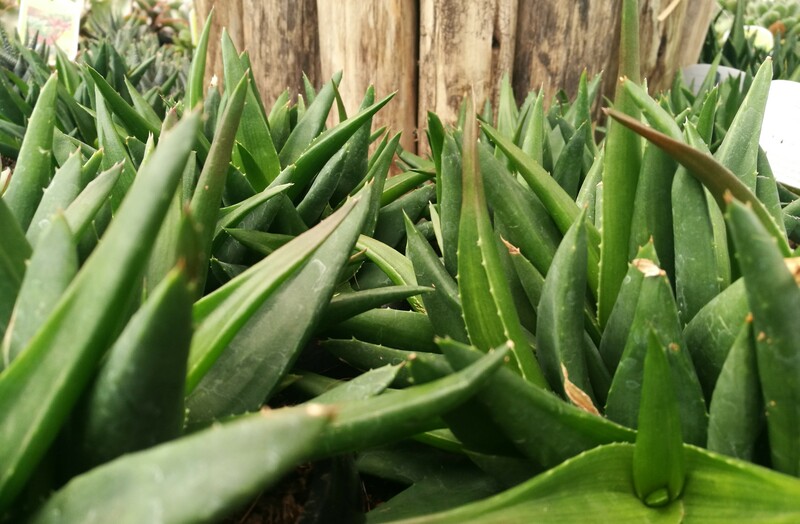 One would think that they would be tolerant to heat, but in nature they grow in the shade of other aloes, or in the gaps between boulders, so they are accustomed to shade. The flowers emerge as delicate clusters of white tubular flowers on a slender stem up to 30cm tall. 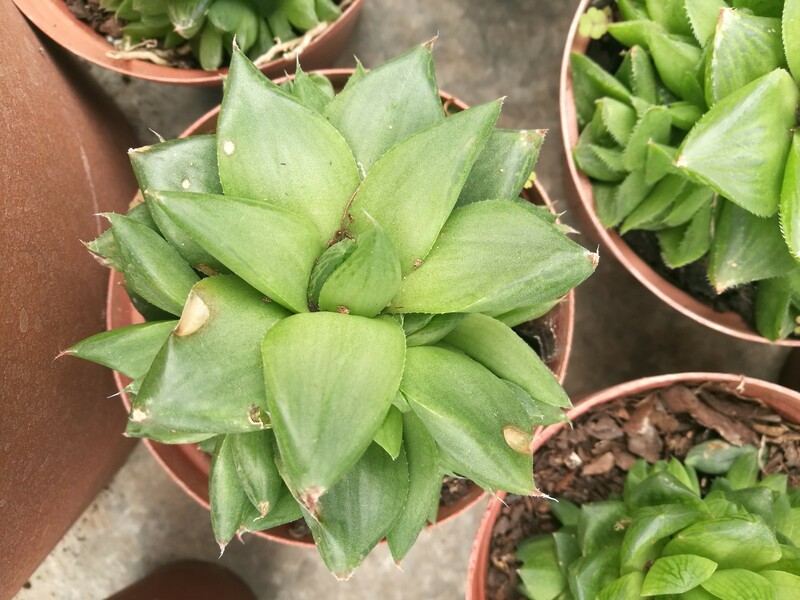 The Haworthia Attenuata is native to the eastern cape in South Africa, as well as Lesotho. The leaves are narrow, sharp and upright, and are marked with painterly bright white raised sections known as tubercles. They flower in the early summer. 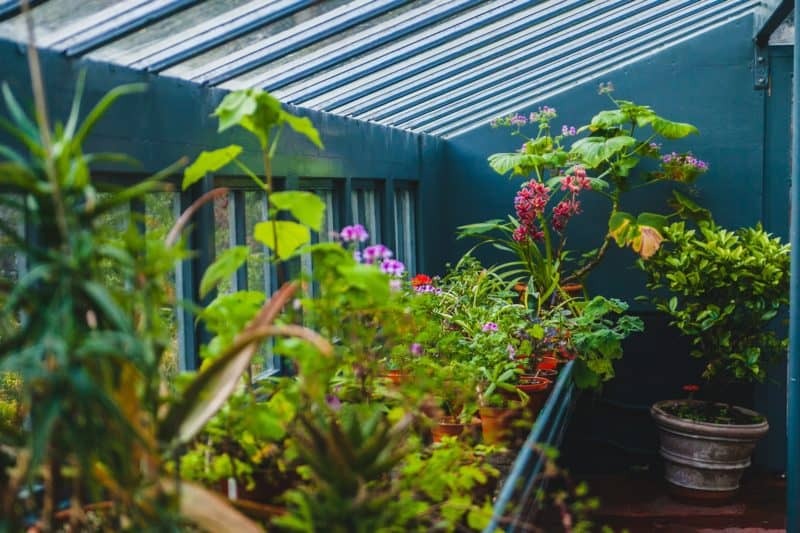 Although these are tough plants which enjoy sunny windowsills and can tolerate heat, a strong winter draft can make them sick and kill them. Too much sun or heat will make the leaves discolour to yellow or white. The Attenuata is commonly confused with the Haworthiopsis Fasciata which has similar markings. 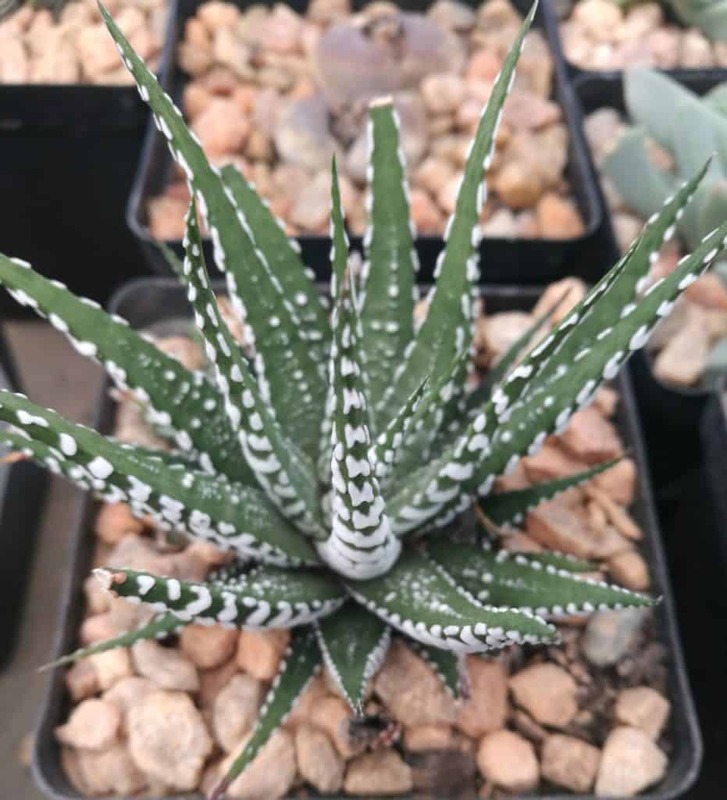 What distinguishes the two is the smooth inner leaves on the inside of the Zebra plant, whereas the Attenuata has tubercles on the insides of the leaves too. This fresh-lime coloured beauty heralds from the rocky slate and limestone cliffs of the Western Cape. The leaves are describes as crystalline- indeed they look like swollen gems of bright fleshy fruit, or like tumbled sea glass. The Turgida also prefers shade, but will tolerate morning sun. Too much heat may burn the leaves and cause discolouration. 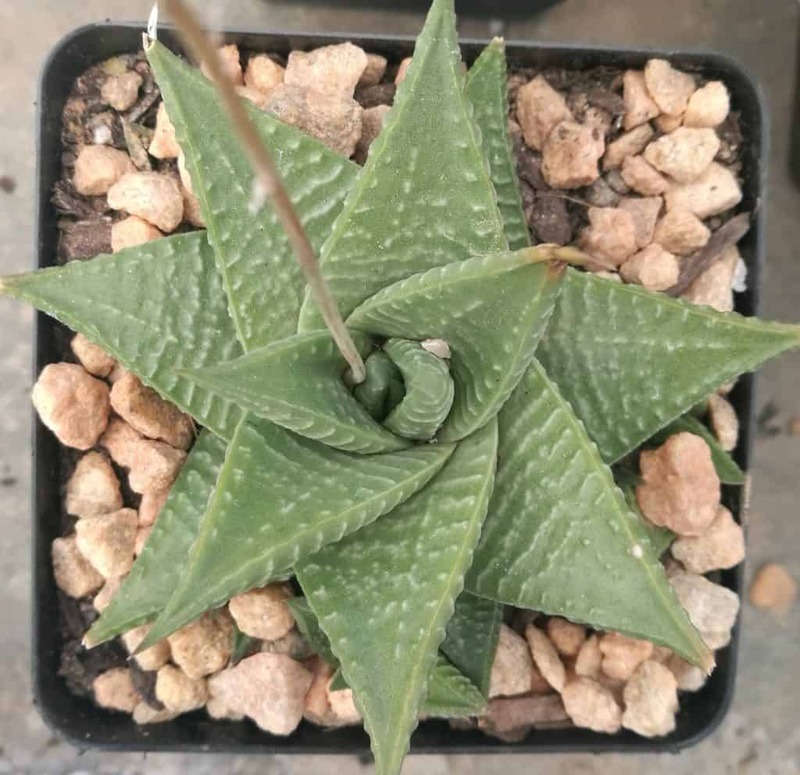 They too form rosettes, but in less compact form than the Haworthia mentioned above. Tubular white flowers will appear in summer. We can see that most Haworthia prefer protected shady spots, but if planting in the garden, areas with morning sun and afternoon shade are perfect. The same rule applies as with all succulents- well draining soil is essential for aerated happy roots. When watering take care only to do so when the topsoil has dried fully. Water less frequently in winter. Although these unique succulent looks like a mini aloes, they are genetically different. Their flowers are completely unique to their species. In South Africa, Haworthia Fasciata is commonly used by tribal people to protect their villages from witchcraft attacks. Plant charms are distributed to protect from those with jealousy or malicious intent. Propogation is simple- simply remove offsets and place into soil.